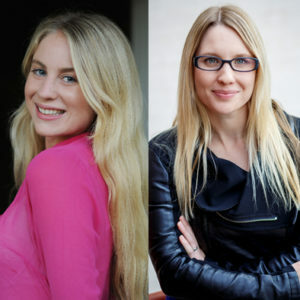 Writer/Director Alison James and Producer Brooke Silcox’s JUDAS COLLAR has been nominated for Best Short Film at the 8th Annual Australian Academy of Cinema and Television Arts (AACTA) Awards. The AACTA Awards recognise film, television and documentary screen craft excellence, Australia’s equivalent of the Oscars® and the British Academy Film and Television Academy Awards (BAFTAs). The winners will be announced on Monday, 3 December 2018. JUDAS COLLAR has been making a splash in the 2018 Australian film festival circuit, even before its prestigious AACTA Award nomination. Judas Collar premiered at the 2018 Sydney Film Festival where director Alison James was awarded a Special Mention for the Rouben Mamoulian Award for Best Director at the 48th Sydney Film Festival Dendy Short Film Awards. The film has also been officially selected for the Melbourne International Film Festival Australian Shorts program where the film will be eligible for the Academy Accredited Best Short and Best Australian Short Film Awards. JUDAS COLLAR is an ambitious, visually stunning short with no-dialogue, starring a cast of camels. The film explores camel culling in Australia based on a real-life practice. JUDAS COLLAR is the name of the tracking device used to control wild camel populations in the outback. The idea for the short drama came when Alison was researching a documentary about helicopter pilots in the outback. “I was looking at the most interesting helicopter work being done in Australia and I came across a company that listed feral animal culling, specialising in the use of Judas Collars,” said Ms James. The collars are placed on a single camel within a herd and the herd is then tracked and culled, leaving only the collared animal alive. That animal – known as the Judas, then finds a new herd and gives away their location to the hunters. 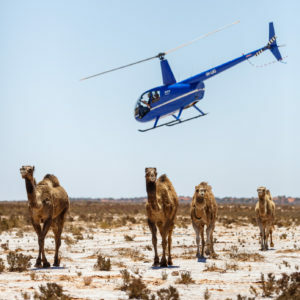 Brooke and Alison said that shooting the film was incredibly challenging and involved transporting the camels, a helicopter and crew to remote desert locations and filming in searing hot weather. 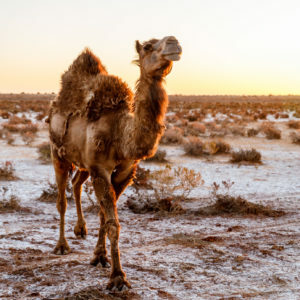 The pair enlisted Calamunda Camel Farm owner Chris O’Hora as their camel wrangler – but with eight camels to wrangle, every crew member could consider themselves a camel wrangling expert by the end of the shoot. Adding to the challenge, Alison was four-and-a-half months pregnant during filming and seven-months pregnant when the film was completed. The duo are quick to give credit to the film’s experienced heads of department; cinematographer Michael McDermott, editor Lawrie Silvestrin ASE, sound designer Chris Goodes, composer Ash Gibson Greig and colourist Olivier Fontenay. JUDAS COLLAR was produced by No Thing Productions, executive produced by WBMC and Walker Films, and funded through Screenwest’s highly competitive Elevate Initiative.